He said he had come to the emergency room to preach. I encouraged him to check into the hospital for care. He refused, and I considered my options. I could allow him to leave, or I could admit him involuntarily. I knew, though, that if we gave him antipsychotic medication, he would realize that he was a homeless man with AIDS. Would he rather stay a prophet? Did he have the right to choose psychosis? Did I have the right to choose for him? If, however, lack of insight is defined as a failure to accept an alternative view of reality, then do the rest of us lack insight, too? The assumption that someone else’s reality is invalid can foster distrust; it sends the message that we don’t respect this person’s experience of his or her own life. Many people who have been in the mental health system describe themselves as “survivors” — not of mental illness, but of treatment. I run a program for young people experiencing psychosis for the first time. Every day I confront my impulse to coerce people into care. This spring, one of our participants, whom I will call Mark, once again went off his medications. He had been on track to finish his first semester of community college and was looking for part-time work when his father showed up after years of absence. Soon he was smoking weed daily with his father, had dropped out of school and was refusing to take his medications. Over the next few months he became increasingly psychotic, stopped sleeping and started rhyming all his sentences. Then the sentences gave way to incoherent word pairings that psychiatrists call “clanging.” Soon he was nearly mute and rail-thin. But he still refused medication. I wanted to enforce treatment, so that so that he could eat, sleep and talk. My intentions were altruistic, but to Mark, coercion felt traumatic. Currently, 46 states have laws for enforced outpatient care, often called assisted outpatient treatment. A bill called the Helping Families in Mental Crisis Act, now awaiting a vote in the Senate, includes provisions for funding such care. 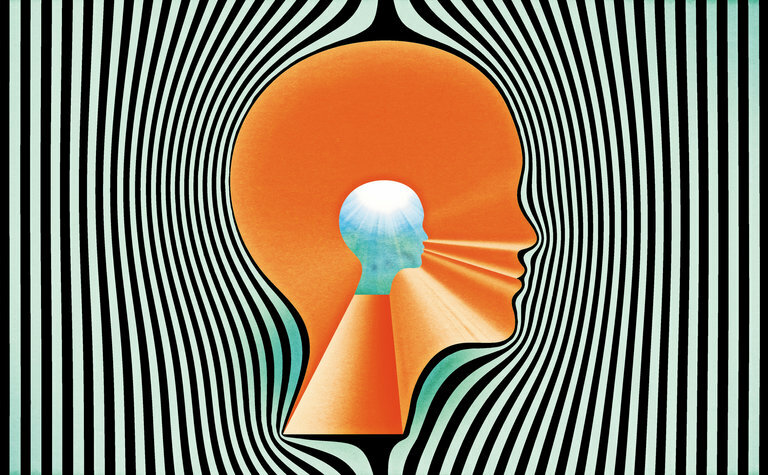 Many people describe their experience of psychosis as enriching or even ecstatic. One of my patients is promised a seat at God’s side in heaven. Another cries quietly while she describes how Jesus’ love keeps away the demons that infest her world. One describes his ability to take the pain from others; another has the power to see the future. Sometimes psychotic ideas are engrossing — a patient spent the summer contemplating the nature of substance and sound, and found them ultimately to be indistinguishable. It’s hard to persuade someone who finds psychosis rewarding to adopt an alternate reality. In fact, studies demonstrate that positive experiences of psychosis are one reason people stop taking medication, in addition to side effects like weight gain, mental dulling and painful muscle spasms. When the medications take full effect people sometimes emerge from a psychotic episode only to realize that they have alienated loved ones or damaged their lives as they knew them. We take the psychosis away, and then fail to acknowledge the loss. Finally, the public and even many mental health providers are unaware of how often people with psychosis experience meaningful recovery, without necessarily being cured. Berta Britz, a friend, spent decades in and out of hospitals, on high anti-psychotic doses. Now off medications, she is a leader in mental health delivery services, and married last year. So I am learning to be patient. Treatment decided collaboratively may not look like the treatment I initially think is best. After weeks of listening to Mark, even when I couldn’t understand him, I finally heard him whisper that he was scared. He had found an earlier trial of injectable medication terrifying. We talked about his right to choose his treatment, and his right to refuse. We talked about how hard he finds it to remember to take daily pills. That day he agreed to try a different injection. Two weeks ago he re-enrolled in community college. That night 13 years ago, I did hospitalize my patient who thought he was a prophet, and he received treatment that he had not consented to. I never found out what happened to him. I think about him often; I question my decision each time I do. Irene Hurford, an assistant professor of psychiatry at the University of Pennsylvania, directs a psychosis program at Horizon House, a community mental health agency.